Grand Funk Railroad (also known as Grand Funk) is an American blues rock band that was highly popular during the 1970s. Grand Funk Railroad toured to packed arenas worldwide. A popular take on the band during its heyday was that, although the critics hated them, audiences loved them. The band’s name is a play on words of the Grand Trunk Western Railroad, a railroad line that ran through the band’s home town of Flint, Michigan. Originally a trio, the band was formed in 1968 by Mark Farner (guitar, vocals) and Don Brewer (drums, vocals) from Terry Knight and the Pack, and Mel Schacher (bass) fromQuestion Mark & the Mysterians; Knight soon became the band’s manager. Knight named the band as a play on words for the Grand Trunk Western Railroad, a well-known rail line in Michigan. First achieving recognition at the 1969 Atlanta Pop Festival, the band was signed by Capitol Records. After a raucous, well-received set on the first day of the festival, the group was asked back to play two additional days. Patterned after hard rock power trios such as Cream, the band, with Terry Knight‘s marketing savvy, developed its own popular style. In 1969, the band released its first album titled On Time, which sold over one million copies, and was awarded a gold record in 1970. In the same year, a second album, Grand Funk (aka “The Red Album”), was awarded gold status. The hit single “I’m Your Captain (Closer to Home)“, from the album Closer to Home, also released in 1970, was considered stylistically representative of Terry Knight and the Pack‘s recordings. The band spent $100,000 on a New York Times Square billboard to advertise Closer to Home. In 1970, they sold more albums than any other American band and became a major concert attraction. By 1971, Grand Funk broke The Beatles‘Shea Stadium attendance record by selling out in just 72 hours. Despite critical pans and a lack of airplay, the group’s first six albums (five studio releases and one live album) were quite successful. In 1970, Knight launched an intensive advertising campaign to promote the album Closer To Home. That album was certified multi-platinum despite a lack of critical approval. Following Closer To Home, Live Album was also released in 1970, and was another gold disc recipient. Survival and E Pluribus Funk were both released in 1971. E Pluribus Funk celebrated the Shea Stadium show with an embossed depiction of the stadium on the album cover’s reverse. By late 1971, the band was concerned with Knight’s managerial style and fiscal responsibility. This growing dissatisfaction led Grand Funk Railroad to fire Knight in early 1972. 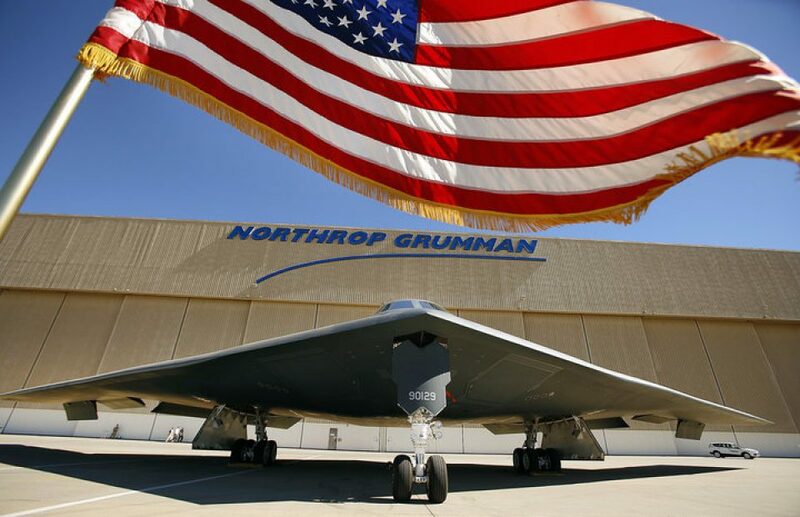 Knight sued for breach of contract, which resulted in a protracted legal battle. At one point, Knight repossessed the band’s gear before a gig at Madison Square Garden. In VH1‘s “Behind the Music” Grand Funk Railroad episode, Knight stated that the original contract would have run out in about three months, and that the smart decision for the band would have been to just wait out the time. However, the band felt they had no choice but to continue and fight for the rights to their career and name. In 1972, Grand Funk Railroad added Craig Frost on keyboards full-time. Originally, Grand Funk attempted to attract Peter Frampton, late of Humble Pie; however, Frampton was not available due to signing a solo-record deal with A&M Records. The addition of Frost, however, a stylistic shift from Grand Funk’s original garage-band based rock & roll roots to a more rhythm & blues/pop-rock-oriented style. With the new lineup, Grand Funk released its sixth album of original music Phoenix in 1972. The new combination worked. To refine Grand Funk’s sound, the band secured veteran musician Todd Rundgren as a producer. Their two most successful albums and two No. 1 hit singles resulted: the Don Brewer penned “We’re an American Band” (from We’re an American Band) and “The Loco-Motion” (from Shinin’ On, written by Carole King and Gerry Goffin and originally recorded by Little Eva). The album We’re an American Band topped out at No. 2 on the charts. “We’re an American Band” was Grand Funk’s first No. 1 hit, followed up with Don Brewer’s “Walk Like A Man”. “The Loco-Motion” followed in 1974 as Grand Funk’s second chart topping single, followed up with Don Brewer’s “Shinin’ On”. The band continued touring the U.S., Europe, and Japan. In 1975, Grand Funk switched to Jimmy Ienner as producer and reverted to using their full name: “Grand Funk Railroad”. The band released the album All the Girls in the World Beware!! !, which depicted the band member’s heads superimposed on the bodies ofArnold Schwarzenegger and Franco Columbu. This album spawned the band’s last two top ten hits, “Some Kind of Wonderful” and “Bad Time”. Although highly successful in the mid-1970s, tensions mounted within the band due to personal issues, burn-out, and musical direction. Despite these issues, Grand Funk forged ahead. Needing two more albums to complete their record deal with Capitol, Grand Funk embarked on a major tour and decided to record a double live album, Caught in the Act. 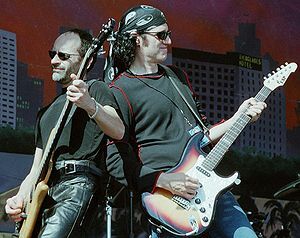 The double album should have fulfilled the contract with Capitol; however, because it contained previously released material, Capitol requested an additional album to complete Grand Funk’s contractual obligation. While pressures between the band members still existed, the members agreed to move forward and complete one more album for Capitol to avoid legalities similar to the ones that they endured with Terry Knight in 1972. The band recorded Born to Die and agreed not to release any information regarding their impending breakup in 1976.